If you're not already on our newsletter list, sign up now! As CAPS Research dives into a big new year, I am excited to join the team and meet all our members. 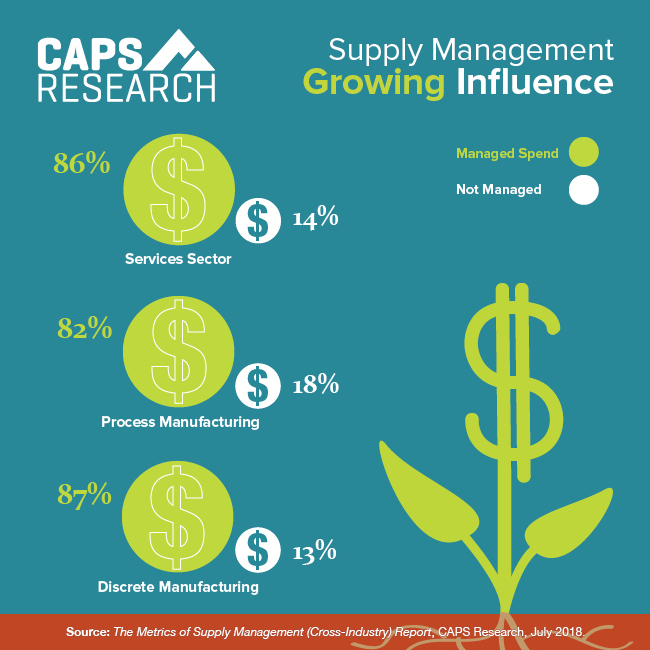 I bring to CAPS eight years of supply chain management experience, which will serve as my launch pad to make sure our membership program serves the specific needs of each of our members. I look forward to elevating our membership program with more frequent touch points to help you take advantage of CAPS benefits and address your business needs. 72% of companies that have formal compliance policies for pre- and post-award activity require pre-award reviews or meetings prior to approval. Our most recent Snapshots survey provides insight into understanding companies’ use and effectiveness of these policies, and it's available in the CAPS Library now (link below). Surveys are for both members and non-members. We love your data, and in exchange, everyone who completes a survey receives a complimentary copy of its metric report. That said, CAPS members get extra love: breakout reports and custom survey opportunities. Email us to participate. CAPS member events are where our benchmarking and research come to life while attendees create powerful networks that support them in their supply management evolution. Take full advantage of membership and join us for an event. Follow us on social media (links below) or visit our blog collection of CAPS infographics on procurement and supply management research and benchmarking findings. If you like them, feel free to share!